The global corporate wellness market has been experiencing a robust growth since the last few years. It is currently worth over USD 40 billion and growing at the rate of 16 percent to 17 percent per annum. Driven by factors such as increasing sedentary lifestyles, chronic diseases, mental and physical stress, and lack of exercise, an increasing number of organizations are leveraging corporate wellness programs to help employees maintain good health. These programs include gym services within the premises of the company, free health check-ups, healthy snacks, health clubs, and so on. Corporate wellness programs are focused on improving the health and wellbeing of employees. Companies expect that these programs will increase employee productivity, reduce absenteeism, and minimize healthcare costs. Though the industry is already worth over $40 billion, according to the Global Wellness Institute, only 9 percent of the global workforce has access to some form of workplace wellness program. Needless to say, there’s a huge market for corporate wellness solution providers waiting to be tapped. Health Risk Assessments: Health Risk Assessments, Targeted Risk Assessment, Biometric Screening Services, etc. Health Coaching & Consultation Services: Weight Management, Stress Management, Food & Nutritional Services, Smoking Cessation, Seminars and Workshops, etc. EAPs (Employee Assistance Programs): Onsite Services, Health Challenges, Coaching on Various Health Topics, Conflict Management, Expat Services, etc. Health & Fitness Programs: Fitness Services, Discount Programs, etc. 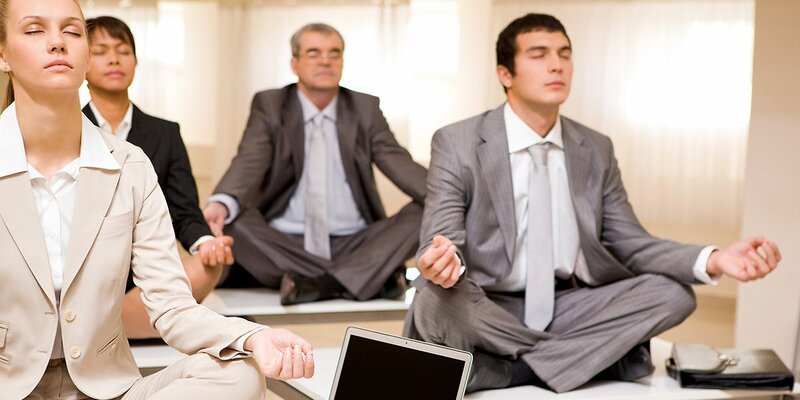 Should corporates invest in workplace wellness? A market survey conducted by the Harvard Business Review has found that for every dollar invested in corporate wellness, companies get an average return of $2.71 through increased productivity, lower absenteeism, and reduced healthcare costs. Take for example the Glasgow City Council (GCC) who saved millions by reducing employee absenteeism through its workplace wellness initiatives. By partnering with Bupa, it rehabilitated employees on long-term sick leave and was able to speed up medical appointments so that its staff could access treatment promptly. Within a year, sickness-related absenteeism had dropped from 12.5 days to 8.1 days per employee, saving the company USD 12.9 million. In the following year, employees on sick leave dropped further to 7.4 days per employee, saving GCC another USD 4.9 million. Chronic diseases and conditions are on the rise. Nearly 13% of the world population is obese or overweight. Nearly 642 million will suffer from diabetes by 2040. By 2030, there will be around 24 million deaths due to cardiovascular diseases. An increasing number of companies realize that they would rather invest in wellness initiatives than lose valuable workforce to chronic health conditions. Speak to us to learn more about the opportunities in the corporate wellness market.